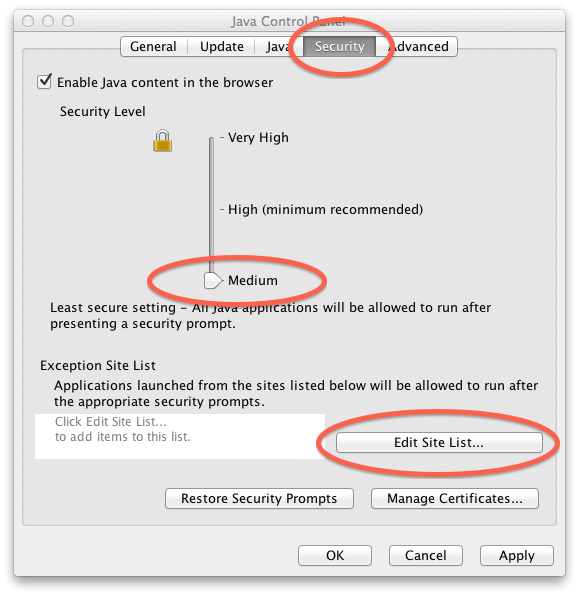 To allow MIDL or JCSN to run using web start, you must now modify your Java settings in the Java Control Panel. Click here for instructions (with screenshots for a PC). Note also that if your "Security Level" in the Java Control Panel is set to "Very High" or "High" then you will need to change it to "Medium." 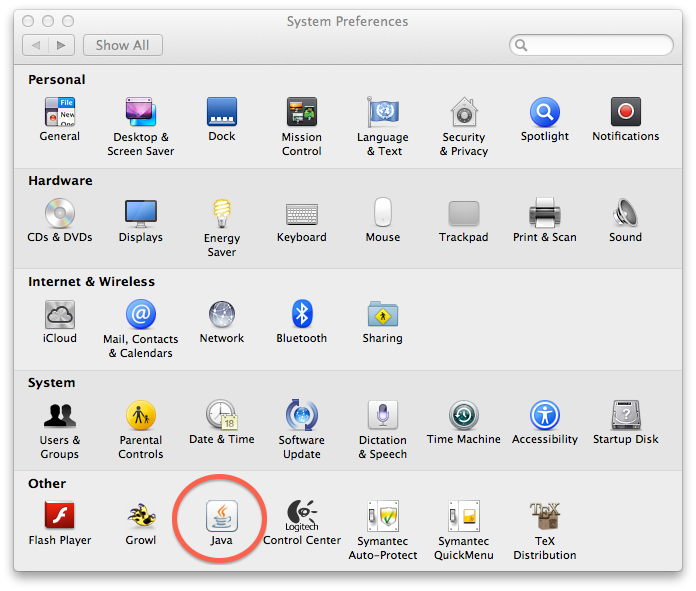 On a Mac, open the system preferences, then double click on Java near the bottom. 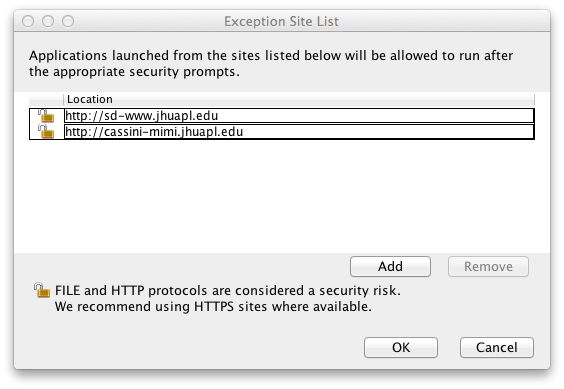 Select the Secutiry tab. If the "Security Level" is set to "Very High" or "High," change it to "Medium." Then click "Edit Site List..." and add the two sites listed above. Here are screen snaps on the Mac showing what you will see (these were obtained using Mac OS 10.8).